If you’ve ever dabbled with using temporary hair color to hide stubborn grays, you know how annoying some of those products can be—you grab a tube of something called “Auburn Sunrise,” try to artfully flock your gray streaks with it, and after a gloppy, uneven application, see in the mirror that you still look like you’re going gray, and now you look like you’re going crazy. 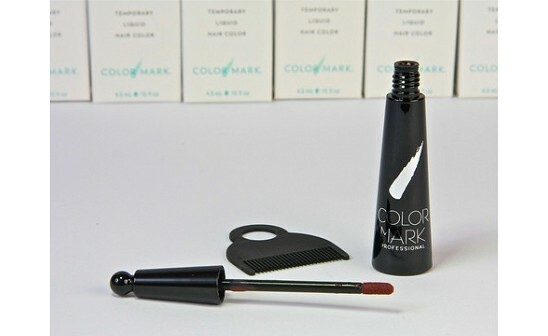 ColorMark is a refreshingly easy-to-use home coloring product designed specifically to hide gray roots. When you’re between salon appointments and starting to notice that oh-so-attractive Skunk Stripe look, ColorMark can be applied to instantly and perfectly blend with your permanent hair color. It’s a liquid (not a crayon or mascara) that goes on with a small sponge wand, and the best part? It dries in less than a minute. Just apply, and you’re done! No mess, no fuss, no fumes, and it stays until your next shampoo. (For that you’ll want to send a note of thanks to former beauty editor Joan Lasker for the years she spent developing this incredible product.) Daily Grommet’s own Joanne is a fan of ColorMark and finds that not many folks know about this stuff, even though it has won a number of beauty awards. This is our way of spreading the word. If you’re one of the 30 million women who color their gray, you definitely want to try it. I am excited that Daily Grommet is sharing ColorMark Temporary Liquid Hair Color for Gray Roots today. All of us can use a quick fix between color appointments. 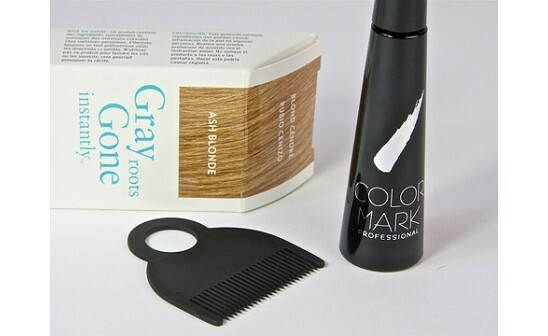 ColorMark is the only instant liquid touch-up for gray roots that prolongs the look and feel of freshly colored hair. Stays true until you shampoo it out. ColorMark is the perfect emergency coverage. Business meeting or travel, and you can't get to the salon? On vacation and your roots are showing? ColorMark will cover your gray roots instantly. A bottle of ColorMark will last from two to four months, depending on the amount of gray that you need to cover. (If you are 50% gray, you will get about 40 applications). Remember, you are only covering your visible gray …. around the hairline or in your part. And, if you are just starting to go gray and don't want to make the commitment of using permanent hair color, ColorMark is the answer for instant, temporary coverage. ColorMark has won 3 industry awards, including Allure’s most recent Best of Beauty for the best instant temporary hair color for touching up gray. I developed ColorMark because I needed it for myself. I was using mascaras and crayons to cover my gray, but they made my hair look dull and greasy. I couldn’t brush my hair or it would flake off. Because ColorMark is reaI hair color, it actually bonds to the outside of the hair so it won’t flake or rub off, even after brushing. An important tip: If you are between shades, pick the lighter color. It will blend more naturally with your hair color. I have used this product for many years. It is easy to apply and it does not rub off. My gray patch is on my forehead and quite noticeable. This blends in well and helps me get a few extra weeks between colors. The store where I purchased it doesn't carry it anymore and so I was thrilled to see it here this morning! Should I get the dark brown or rich black for N4 colored hair? Any ideas? Thanks! Black is a true black. Dark Brown is a black/brown (very dark brown). Dark Brown should be the right color for you. Yes, ColorMark is available in Canada and Puerto Rico, as well as the U.S.
Oh dear, another Grommet for me! You see, the other day I was playing duck, duck, grey duck with the neighborhood kids and DIED when the neighbor girl called me grey hair duck! I have a spot, but thought I parted my hair in a way that camouflaged it, evidently not! I went to the store and had a panic attack. I'm a redhead and none of those boxes looked like me! On your color swatches I'm not as dark as Auburn, but not as bright as light auburn or red. The fact that yours is temporary gives me courage to make a mistake! Does it wash out with one wash? Another great Grommet Joanne! ColorMark's Auburn shades have a red base with brown highlights. Do you consider yourself a redhead or a brunette? I had heard about this product from my hairdresser but didn't know where to get it. I'm giving it a try so I can extend my time between hair color treatments. 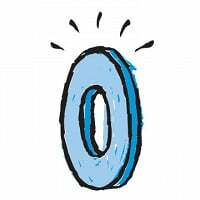 Thanks for having this as a daily grommet! What's so great about ColorMark is that it allows you to stretch the time between hair colorings and you know your hair will look perfect until you color your hair again. As a brunette, my gray roots are visible in 10 days. Brunettes have the biggest problem because you can see the gray so quickly. 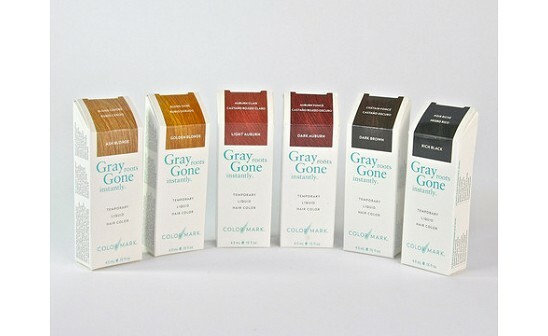 I cover my gray with ColorMark for 10-14 days out of the month. I touch up the gray around my temples and hairline and feel confident that no one can see my gray. I use this product and it is wonderful! Have used many different kinds of touch up sticks as well. My darn hair grows so fast that my roots start to show as I am walking out of the hair salon!! This product is not messy like some (it doesn't get all over your forehead or your pillowcase.) It really blends in well to your natural color. Joanne has the most gorgeous hair!! I too am shocked she touches up! I am going to have Joanne's hair in my next life. Meanwhile I limp through this life with the bits of thin straw God gave me. Less gray to cover, though, when you have less hair. I love the comments on this Grommet. Clearly Joan and ColorMark are performing a public service to woman kind. My hair is dark brunette, and I have it colored to lighten the color to medium brown. I have very little gray but of course every strand shows on brunettes! Will Colormark work to lighten the roots as my hair grows? If so, what shade would you recommend? Thanks Pam, I am a redhead, but not a bright vivacious red. ColorMark can only color gray. It cannot make dark roots lighter ... for that you need ammonia and peroxide to lift the color out. Katherine, if you're a red head then Light or Dark Auburn should work for you. Those shades are not bright red. Can I just say that its very liberating talking about covering up our roots!! The grays are here, (or are coming) so its great to know how to handle 'em! @Liz, I completely agree with you! as a "suicide blonde", meaning "dyed by her own hand". what if you have highlighted hair? My base color is a brown with blonde highlights. Bari, you should go with the base color of brown, not the highlights. It should look like your brown roots are growing out. If you’ve ever dabbled with using temporary hair color to hide stubborn grays, you know how annoying some of those products can be—you grab a tube of something called “Auburn Sunrise,” try to artfully flock your gray streaks with it, and after a gloppy, uneven application, see in the mirror that you still look like you’re going gray, and now you look like you’re going crazy.